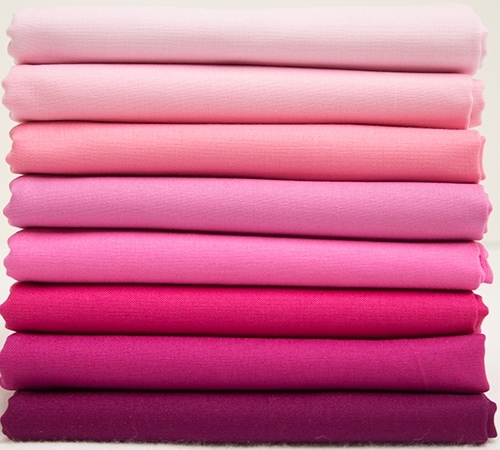 In this bundle you will receive eight cuts of Moda Bella Solids fabric in varying shades of pink. Fat Quarters: 18" x 22"
Half Yard Cuts: 18" x 44"
One Yard Cuts: 36" x 44"
For more information on different fabric cuts, please see our FAQs. Also note that we do have yardage available in all colors.